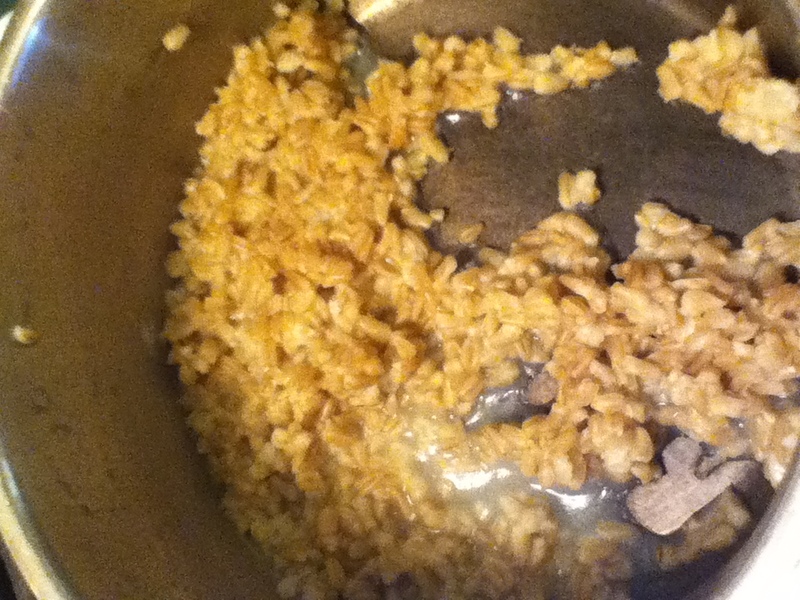 A few months ago I had a sort of…failed experiment involving oat groats. I link-wondered over to a blog post detailing the making of oatgurt. I have always loved oatmeal, and I have always loved yogurt, so what could be better than a yogurt-like food made entirely of oats! 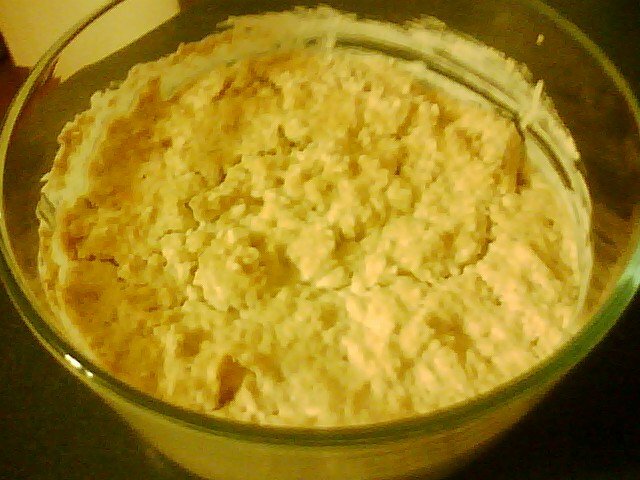 The oatgurt required a multi-day fermentation process that seemed to scare everyone I talked to about it. I got warnings from friends to not poison myself, and a qualification from my roommate that if I didn’t die within 24 hours after eating the oatgurt, she would like to sample a bite. Oatgurt, in all its oaty glory. Well, by the time the oatgurt was ready to eat, it looked about right. However, it smelled quite like vomit (and as an elementary school teacher, I’m well versed in the smell of vomit). When I got past the smell, though, it actually tasted pretty good. It just sort of tasted like yogurt. I added maple syrup, so it tasted like maple-flavored yogurt. Unfortunately, all the naysayers had scared me too much. I was worried about poisoning myself with the oatgurt. So, after a complex 4-5 day process, I ended up eating only a little bit of the concoction before tossing it into the compost heap. So now, I’ve had this bag of oat groats left over in the cupboard since the Great Oatgurt Experiment of June 2011. I accidentally ran out of steal-cut oats (oh, the horror! ), and wanted some delicious oaty porridge for breakfast. Then I remembered: Oat Groats! They are steal-cut oats, only minus the steal-cutting! So, I consulted google, found a recipe with the water-to-oat ratio to follow, and BAM! 45 minutes later… delicious, nutty, slightly crunchy, fibery, chewy, yummy, healthy oat porridge made of whole oat groats! The oat groats are slightly higher in fat, calories, and carbohydrates than rolled oats/oatmeal, but they have a lower glycemic index (so keep you feeling fuller longer), and are higher in fiber and protein. If you get a chance, try eating whole oat groats! I got them from the bulk section of Whole Foods, and they’re also sold pre-packaged by Bob’s Red Mill. Once you try them, you too will say goodbye to mooshy, soggy, oatmeal, in favor of the textured, nutty, oat groats. Yum!